It is illegal to commit fraud against the government. 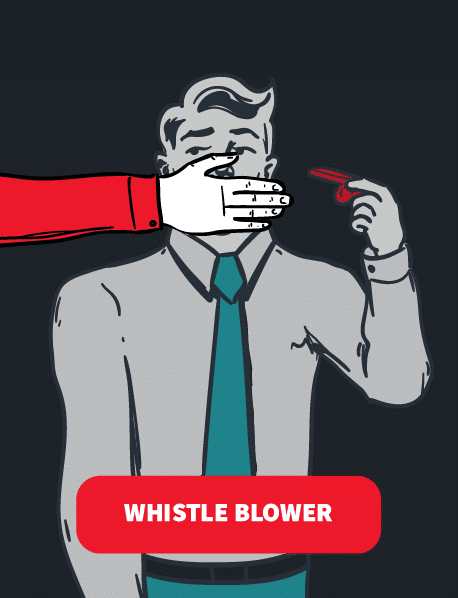 Whistleblowers can help expose fraud by filing a qui tam action on behalf of the government. Whistleblowers who report fraud against the federal, state, or city government to government authorities are eligible to receive a percentage of any award, and they are legally protected if their employer takes retaliatory actions, whether the fraud was reported to the authorities or even internally. Committing fraud against the government is a serious offense. Whistleblowers can report fraud against the government under the federal False Claims Act (FCA), the New York State False Claims Act, and the New York City False Claims Act. In 2017, the federal Department of Justice recovered over $3.7 billion from False Claims Act cases. The False Claims Act makes it illegal for anyone to defraud the government. The FCA was promulgated during the Civil War in 1863 to prevent Union Army suppliers from submitting false claims. Today the federal, New York state, and New York City False Claims Acts legally protect the government from being defrauded. Individuals can file suit on behalf of the government if they know the False Claims Act has been violated. This is called a qui tam action. It is illegal to knowingly defraud the government. Violating a federal, state, or city False Claims Act is a serious offense punishable by significant fines and penalties. The most common forms of False Claims Act violations include healthcare fraud, prescription drug fraud, government contractor fraud, and financial industry fraud. The most common false claims violations are found in the healthcare industry. This includes knowingly charging the government for unnecessary medical expenses, billing multiple times for the same services, and other acts that result in the government paying for unnecessary healthcare costs. A healthcare provider knowingly bills the government to cover the costs of an ultrasound for a pregnant woman who has government-provided healthcare, but the ultrasound was never performed. A patient underwent knee replacement surgery at a hospital, and the healthcare provider knowingly bills the government using “upcoding,” i.e. entering a claim code that pays more than the amount for a knee replacement. The government accidentally overpaid when reimbursing a healthcare provider for services. The healthcare provider then knowingly fails to report the overpayment. A healthcare provider falsifies records to support a fraudulent claim for government health services. In addition to healthcare fraud, prescription drug fraud is a serious problem under the False Claims Act. The FDA approves prescription drugs to treat specific conditions. Doctors can legally prescribe “off-label” uses of medications, but drug manufacturers are not allowed to promote prescription drugs for off-label uses. A prescription drug has been approved by the FDA to treat high cholesterol. Doctors also prescribe it off-label to treat arthritis. The drug manufacturer offers a financial bonus to doctors who prescribe the drug for arthritis. By promoting an off-label use, the manufacturer has defrauded the government with every off-label prescription. A drug manufacturer offers doctors kickbacks or other benefits like free meals or vacations for prescribing their top-selling medication. A drug manufacturer inflates the price of prescription drugs to drive up the amount that Medicare or New York state’s Medicaid program will pay for the drug. A drug manufacturer negotiates one price with Medicaid and then offers a lower price to drug wholesalers, pharmacists, or insurance companies. This violates the Medicaid Best Price requirement and can violate both federal and state False Claims Acts. Federal, state, and city governments rely on contractors for a range of projects, from defense contractors to the construction of bridges, buildings, and more. It is illegal for government contractors to defraud the government in any way. A government contractor knowingly provides a substandard product or service to the government. Contractors may also violate the False Claims Act if they are found reckless in not knowing about substandard or worthless products. A government contractor rigs a bid in order to secure a contract with the government, including falsifying information in a bid to secure a more favorable contract. A government contractor overcharges the government for materials or labor using falsified documents. A government contractor does not fulfill the requirements of their contract, but still bills the government for the full amount of the project. The financial industry receives taxpayer funds from the United States government as well as the New York state government. Whistleblowers can help expose financial industry fraud by filing a qui tam action. A financial institution files false information to gain eligibility for federal bailout program funds, such as the Troubled Assets Relief Program, or TARP. Representatives at multiple financial institutions work together to use government funds for personal financial gain. A mortgage company or lender provides false information to the Federal Housing Administration to gain government backing for a mortgage. Keep in mind that financial industry fraud against the government is different from fraud in the financial industry that can be reported to the government. For financial industry fraud, see Whistleblowers: Financial Industry Fraud. If you act as a whistleblower and report fraud against the government, you have legal protections. Retaliatory actions by your employer can include firing, demoting, suspending, threatening, harassing, or discriminating against an employee who has filed a False Claims Act or participated in a fraud investigation. If you are the victim of retaliation, you can receive reinstatement, double the amount of back pay owed, interest on the back pay, front pay, and compensation for any damages. This includes litigation costs and reasonable attorneys’ fees. Whistleblowers who file a qui tam action are known as relators. Under the False Claims Act, relators must file a complaint with the government. A federal qui tam action should be confidentially filed under seal in a federal district court. A copy of the complaint must be served to the appropriate government office. In the case of violations of the federal False Claims Act, the US Attorney General and the US Attorney for the district where the complaint is filed should receive copies. The federal government pursues cases based on unique, confidential information that has not been previously disclosed. You should only discuss your information with your attorney and the US Attorney. If your information has been disclosed, the government is much less likely to pursue the case. The complaint will be sealed with the court for at least 60 days, during which time the government will investigate the complaint and decide whether or not to proceed. A state qui tam action should be filed with the New York supreme court. It will remain under seal for 60 days while the government investigates the complaint. A city qui tam action should be submitted to the New York City Department of Investigation. Whistleblowers who file a qui tam action on behalf of the government can receive a percentage of the monetary award. The percent of their award depends on whether the government takes over the prosecution or the relator continues the case. If the government chooses to proceed with the action, it will prosecute the violation of the FCA. The relators are entitled to between 15 and 25 percent of any amount recovered by the government. If the government declines to proceed with the action, the relator may continue the case. Relators must still obtain the consent of the government to settle or dismiss a qui tam action. The relator is entitled to between 25 and 30 percent of any amount recovered in the action.